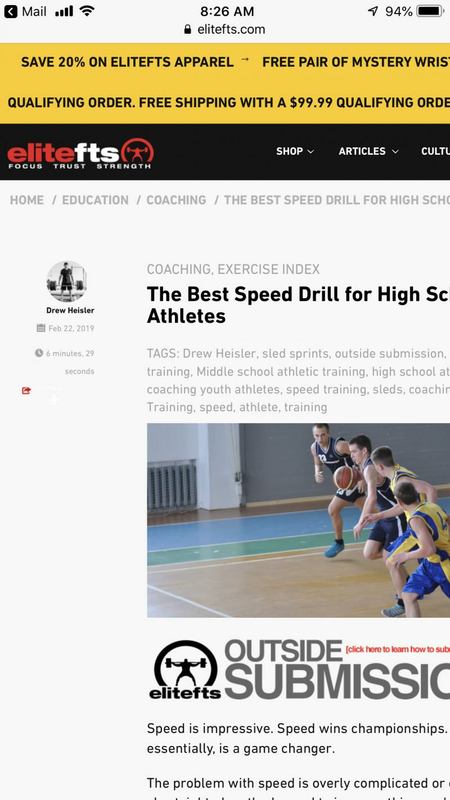 EliteFTS published an article I penned on speed training for high school athletes. I have outfitted my gym with EliteFTS equipment and their educational materials have helped shape my training philosophy. To read my words on their website is special.